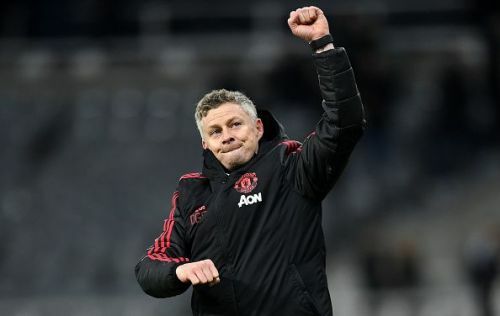 Ahead of his first FA Cup tie as a Manchester United manager, Solskjaer was at the threshold of making history. Only one United manager had won his first 5 games in charge - Sir Matt Busby and a win over Reading would put the Norwegian's name in the record books alongside the United Legend. Solskjaer, though, would have hardly been concerned with setting records, even though he had clearly stated that he wanted to win all games in charge. The Norwegian named a totally changed side, as he gave several of his first-team members a well-deserved rest. However, the team he set up was not short of firepower. He opted for Romero in goal, with Dalot, Darmian, Jones and Young making up the back four. In the middle, he put Fred alongside Pereira and McTominay. Mata joined Sanchez and Lukaku as a front three with enough quality within them to see off a spirited Reading side. United took time to break down a resolute opposition, but when Fred had slotted in the ball home in the first half, he was ruled offside, only for VAR to interfere. 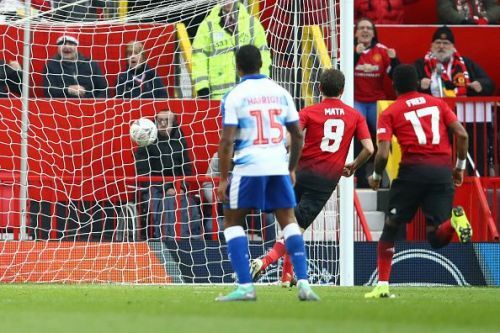 United were awarded a penalty by VAR instead, as Mata had been brought down. The Spaniard scored from the spot and gave United a deserved lead. Lukaku missed a couple of chances, but finally, doubled the score in the 4th minute of injury time as United went into the break with a 2-0 lead. The home team did not improve much in the second half, as Solskjaer's men failed to build on their good start. The Norwegian brought on Chong in place of Mata and Fellaini in place of Fred, before Sanchez hobbled off to be replaced by Rashford. In the end, it was a stroll in the park for United, thanks to these 5 tactics from Solskjaer that ensured that he had now won all of his first five games in charge. Even though he started from the right, Mata drifted in all night and even switched places with Sanchez a couple of times. However, he was essentially the creative spark in the team, the man tasked with supplementing the forward players with effective balls in the absence of Paul Pogba. The Spaniard did just that and his nifty passing and ball control were a treat to watch.